I love video games. I love what people are doing with video games these days. Take, for example, GUTS Department's Aegis Defenders. The indie studio is mixing Metroid-vania style action and exploration with some tower defense mechanics, and (best of all) you can play it all with a friend! Yes, please! The game has been in development since 2014 and has gone through a number of changes (including an update to the visuals/graphics). The trailer below is essentially a recreation of their original Kickstarter trailer with the updated visuals, and if you're a fan of retro aesthetic, you'll definitely want to check it out. As for the action itself, the dev team has broken it down into three core ideas: Explore, Build, Defend. You and your co-op buddy will be doing a lot of platforming and puzzle solving to reach the base at the end of each level, at which point you'll construct defenses and hold out against waves of enemies. You'll eventually recruit more characters into your part, which will allow you to combine and upgrade buildings and character abilities via the "Fusion System." 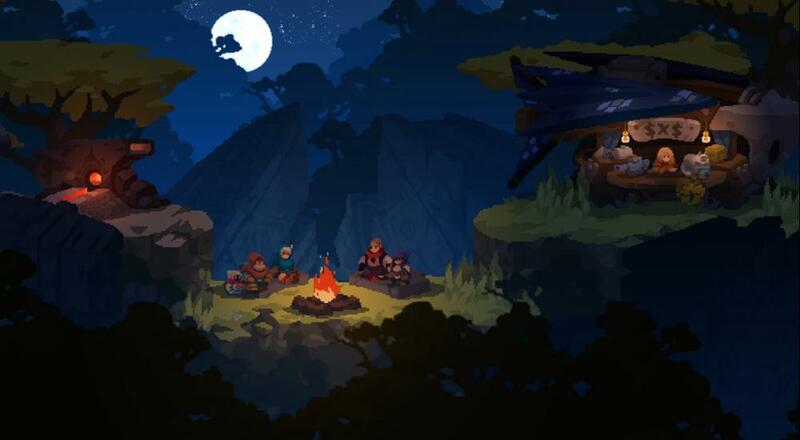 There's no specific release date for Aegis Defenders, but it should be coming out later this year for PC and PlayStation 4. Two player drop-in/drop-out local co-op will be supported throughout the campaign. Page created in 1.1436 seconds.